Have you wondered why the trees in League City are decorated with silver ribbons? 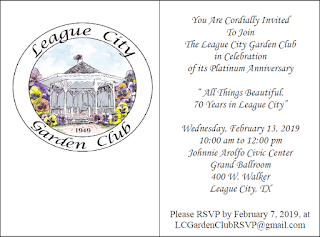 They are in honor of the League City Garden Club celebrating its 70th Anniversary! Those are just a few of the trees the League City Garden Club has either planted or saved over the years. Please join us in February as we celebrate our Platinum Jubilee. All are welcome, but we ask that you RSVP. 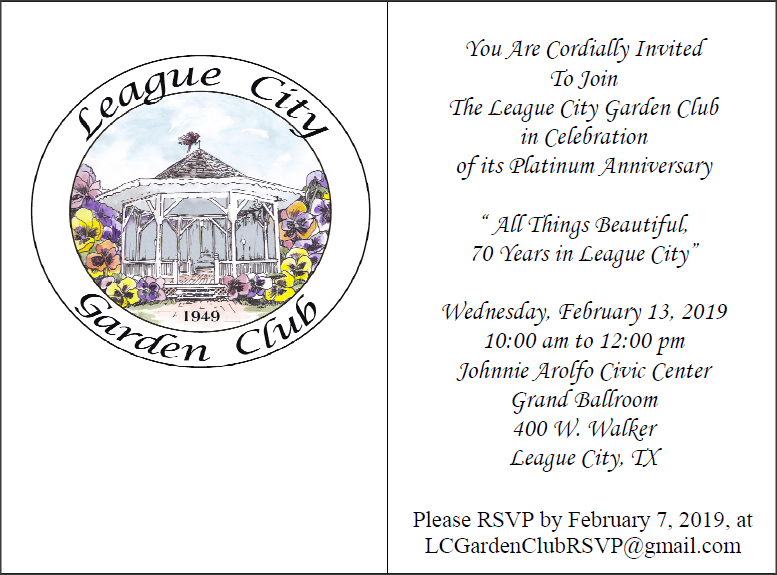 Please contact us at LCGardenClubRSVP@gmail.com for date and time, and to let us know to expect you.